Will Mahathir's latest gambit strengthen the opposition? KUALA LUMPUR • Former premier Mahathir Mohamad's new party has taken flak for limiting its full membership to bumiputera (a term for indigenous tribes and the Malay majority) and being no different from the Malay-only Umno that he left and aims to topple. Already, Parti Pribumi Bersatu Malaysia's president Muhyiddin Yassin - the former Umno No. 2 who was sacked from government a year ago by Prime Minister Najib Razak - has had to fend off accusations of racism, after critics reminded Malaysians of his "I'm Malay first" remarks from 2010. But the hope remains that this may yet be another master stroke from Dr Mahathir, who remains influential despite stepping down from office 13 years ago. Malays have always viewed the opposition with suspicion, especially as the Chinese-dominated Democratic Action Party (DAP) grew in strength in Pakatan Rakyat, an alliance that was reconstituted as Pakatan Harapan (PH) after Parti Islam SeMalaysia (PAS) exited the pact last year amid a bitter feud over its Islamist policies. A Bumi-centric party led by champions of Malay rights - indeed by none other than Tan Sri Muhyiddin who is seen as a possible prime minister - could go a long way to allay fears that the opposition would strip away the special position of Malays enshrined in the Constitution. But PH - now made up of the DAP, multi-ethnic Parti Keadilan Rakyat (PKR) and Amanah (formed by rebels unhappy with PAS' leadership) - will have to work hard to convince their grassroots that their old nemesis, Tun Dr Mahathir, is now a trusted bedfellow. His de facto leadership of the opposition's campaign to dislodge Datuk Seri Najib over graft claims linked to financial mismanagement at the 1Malaysia Development Berhad (1MDB) state investment firm has already divided opinion, drawing scepticism from segments of civil society still wary of the man they accuse of being a dictator during his 22 years in power. The establishment of Bersatu - whose non-bumiputera members will not be able to vote or run in internal elections - with Dr Mahathir as its chairman has only added weight to criticism that the wily old politician has not changed his tune. "Have they (the opposition) lost their marbles simply because Mahathir is staunchly anti-Najib? They better come to their senses or they may lose their credibility altogether in their contortionist bid to perform the art of the possible," said former DAP lawmaker Kua Kia Soong, now adviser to leading human rights non-governmental organisation Suaram. Despite these misgivings, PH leaders have been widely supportive of a Mahathir-Muhyiddin outfit. Opposition sources told The Straits Times that there has been concern that the year-old Islamic outfit, Amanah, may not be up to speed by the time the next election rolls by, especially with talk of snap polls growing louder. "Nobody wants another PKR. 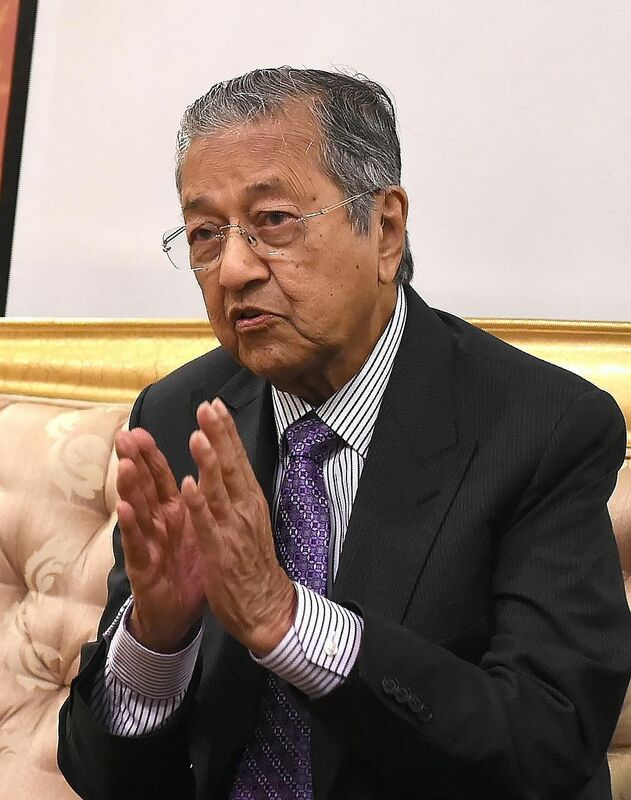 But we do need a stronger Malay-centric partner," one opposition leader deeply involved in talks with Dr Mahathir said, adding that even DAP supremo Lim Kit Siang had pushed Mr Muhyiddin to form his party quickly. The formal presence of Mr Muhyiddin as part of the wider opposition is significant, especially with the continued incarceration of another former deputy premier, Anwar Ibrahim. For so long the glue in a disparate opposition, Anwar had long been touted as an alternative prime minister in Malaysia's race-tinged politics. An opposition heading into the next general election - which could take place more than a year early in March next year -without a clear leader would give voters yearning for stability the jitters. Much of the work for the new party would be to win over hearts and minds in the rural Malay heartland, long regarded as solid Umno votebanks. The opposition is hoping that Mr Muhyiddin and Dr Mahathir, who expanded pro-Malay policies in his time in power, are voices the rural Malays will listen to. "To be of any political added value, they have to win over at least a portion of rural Malays, as urban Malays are already carved up between PKR and Amanah," S. Rajaratnam School of International Studies' senior fellow Oh Ei Sun told The Straits Times. But the difficulty is turning listening ears to nodding heads. These Malay voters, who decide on the bulk of seats in Malaysia's Parliament, are feted with handouts in cash and kind by a government dominated by Umno. Bersatu has no gifts to bring but it offers something not yet available on the opposition's plate. It brings to the table the same Malay nationalist ideology as Umno, but without the burdens of scandal such as 1MDB nor the baggage of the goods and services tax, the 6 per cent consumption levy imposed by Mr Najib last year in the face of widespread complaints about the rising cost of living especially from the rural poor. But even if Bersatu makes some headway on the ground, there remains the question of an electoral pact within the opposition for any meaningful challenge to be mounted to the Umno-led Barisan Nasional (BN) ruling coalition. A repeat of the recent by-elections could be disastrous. BN won handily in the two polls in June in Kuala Kangsar and Sungai Besar - both Malay-majority semi-rural constituencies - after Amanah and PAS split the opposition vote. If an opposition pact is not forthcoming for the general election, BN could regain the two-thirds majority in the federal Parliament it lost in 2008. PAS has staunchly refused to cede seats to Amanah, considering the splinter party to be traitors. Yet another party in the equation would complicate seat negotiations. But some in Bersatu claim to have received positive signals from PAS, which has also recently called for a truce and indicated its readiness to seek a win-win formula within the opposition bloc. "We are the smallest party, so we can't make demands. But PAS could relinquish seats that it has made no headway in. For example, Johor, which is Muhyiddin's home state," said a Bersatu source, adding that Amanah could instead negotiate with PKR and DAP.